Could the LVMH-owned label be the next Louis Vuitton? A century-and-a-half-old French luxury accessories brand is expanding and entering the U.S. market in an interesting way. Its story reads similar to that of Louis Vuitton, though it was founded in a rare show of entrepreneurship -- for a woman -- in those days. Pauline Moynat, the only female trunk-maker in history, founded the company in Paris in 1849 with the Coulembier family of trunk-makers. Her made-to-order trunks and travel accessories were inspired by the theatre (French actress Gabrielle Réjane was a muse) as well as cars: Moynat made special trunks shaped to fit into the contours of automobiles from that time. In 1878, Moynat expanded into women’s handbags, and was the first trunk-maker to do so. She even pioneered the now-common trend of naming bags after celebrities. The “Réjane” was born in the beginning of the 20th century. In 1976, the Moynat boutique closed and the company exchanged hands a few times before being purchased by LVMH head Bernard Arnault in 2010, who kickstarted a revival in 2011 under a new creative director, Ramesh Nair. Moynat opened a shiny new boutique in Paris in 2011, followed by one in London in March of this year. Now, it’s setting its sights on the States, though not with its own fancy Madison Avenue boutique. Instead, it’s opened a shop-in-shop at the unlikely location of New York’s hip, downtown, Rei Kawakubo-owned concept store, Dover Street Market. “It’s just cool,” said Moynat president Guillaume Davin enthusiastically when we met him on-site last week. 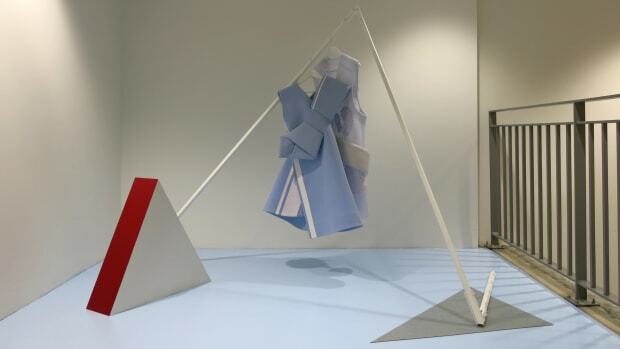 The pop-up was definitely created with Dover Street Market in mind. It has a funky set-up, which includes a bicycle equipped with a luxurious picnic trunk. There are also two limited-edition, hand-painted versions of the brand’s Quattro tote: one with an apple (a nod to The Big Apple), the other with a Paris skyline. Both are available exclusively at Dover Street Market, where the pop-up will live for two months. While Davin may be focused on making Moynat feel relevant and “cool” for today’s consumers, Nair, whom we also met, is focused on creating timeless, elegant bags that honor the codes and the level of craftsmanship on which the company was originally built. Bag names include the “Pauline” and the “Petit Réjane,” and the lines and shapes are made by hand with the original trunks in mind. This is most evident in the Pauline, which has a curve to it that’s unusual in handbags. Each bag is crafted in France and, we’re told, takes an average of 24 hours to create. Thus, bags are in the $3,000 to $6,000 range. It’s pricy for a seemingly simple handbag, but there’s something about its placement in Dover Street Market that makes it seem special, rare and cool. Nice move, LVMH. Click through to see what the label has to offer.